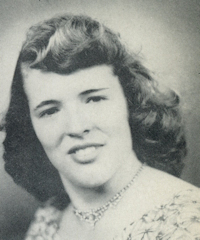 Obituary – Jones, Barbara Kathleen (Braden) « Perry High School Alumni Association, Inc.
﻿Class Assembly 52-53, Red Hots 52-55, Glee Club 51-55, Girls Sextet 54-55, All School Revue 54-55. 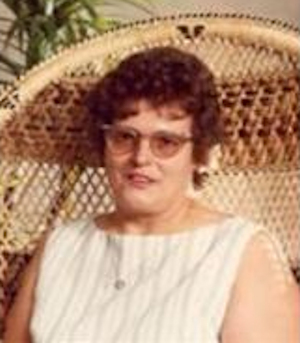 Barbara Braden Jones, 67, widow of Monroe Jones, died Tuesday, December 21, 2004, in Hartsville, SC. Born in Lucien, OK, she was a daughter of the late John and Blanche Gormon Braden. She was a loving mother, wife and grandmother. Surviving are her sons, John M. Jones of Hartsville, SC, Wesley H. Jones of Tacoma, WA, William “Billy” Jones of Cary, NC; daughter, Susan M. McGahan of Hartsville, SC; grandchildren, Kristen Jones, Sarah Hall, Amanda Jones, Brandy Jones, Angel Hall, Linda Hall, Trina Jones, John P. Jones; great-grandchildren, Briana Hall, C. J. Cummings, Noah Cummings.